Mon., Jan. 29, 2018, 8:48 a.m. The Department of Energy plans to open a new center in Richland to help ill Hanford workers and their survivors sort out their options for compensation and care. The center is set to open as soon as April 1 at 309 Bradley Blvd., Suite 120. The opening will depend on how soon the representatives who will staff the center can be fully trained. Union and nonunion representatives will help workers made ill by working at Hanford or their survivors understand what help is available from different programs, some of them complex and with services that overlap benefits. The federal government has one worker compensation program, the Energy Employees Occupational Illness Compensation Program, which offers compensation payments of $150,000 for workers with cancer and up to $250,000 for impairment because of an illness caused by either work place radiation or toxic substances, such as solvents, acids and metals. The federal program also offers medical care coverage. Patients with approved claims are issued what is popularly known as the “white card.” It covers care for illnesses caused by working at Hanford, including providing the popular benefit of home nursing care. The program has paid out nearly $1.5 billion in compensation and medical care to Hanford workers or their survivors. A Washington state worker compensation program also is available, with changes expected to be signed into law by the governor in the next few weeks that will make qualifying for the state program easier. The program covers wages and medical expenses. In addition, other programs are available for specific workers, such as veterans or federal employees. Free medical screening also is available, with checks offered every three years, to anyone who has worked at Hanford, said Gail Splett. She was named the new Department of Energy program manager for workers compensation in October. Last year, seven cases of lung cancers – all but one in the earliest stage – were found in the free screenings, she said. “That saves lives,” she said. The new center, to be called the Hanford Worker Engagement Center, will provide a place where workers “can walk in and say ‘I just got diagnosed with cancer or chronic beryllium disease. What do I do?’ ” Splett said. DOE also continues to work to make its involvement in the state worker compensation program a better experience for workers. DOE is self insured for the state worker compensation program and contracts with Penser North America to administer the program. The decision on whether to approve a claim is made by the Department of Labor and Industries. After workers and others discussed how difficult it was to get a state claim approved during state Legislature hearings last year, U.S. Sens. Patty Murray and Maria Cantwell, both D-Wash., called for a DOE Office of Inspector General investigation. They said they were concerned about allegations of workers’ state compensation claims being dismissed on arbitrary ground and actions taken to discredit claims. In addition, DOE has been reviewing aspects of the program and is conducting a technical audit and a full-scale financial audit, Splett said. DOE notified Penser in early 2017 that it did not plan to exercise its option for a second one-year extension of a contract awarded in fall 2014. It was the second contract awarded to Penser, with the first one awarded in 2009. Penser, a small business in Lacey, said last year that it does not use unfair tactics to deny claims, and that’s supported by the lack of similar allegations for its work as a third-party administrator for other employers. DOE issued a request for qualification from interested companies for a new third-party administrator for Hanford worker claims in spring 2017, DOE said. But it received no responses to the request and reversed its decision to phase out Penser’s current contract and extended it through Sept. 30, 2018. The one-year extension is valued at an estimated $894,000. 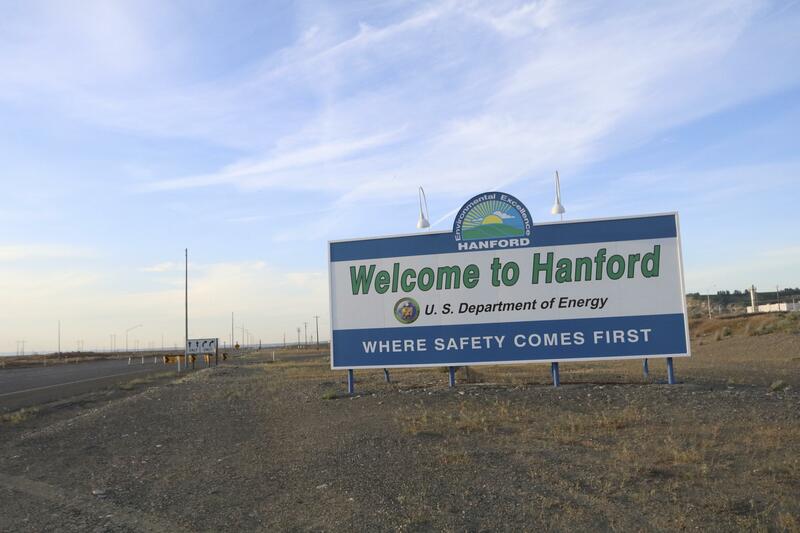 A request for bids for a new state workers compensation administration contract should be released this spring, which could allow a contractor to be in place in the fall, said Hanford officials. The legislative hearings that began last year helped win approval in the current legislative session for a bill sponsored by Rep. Larry Haler, R-Wash. The House had already approved the bill when the Senate voted in favor of it Thursday night. Because the bill was amended in the Senate, it must return to the House for concurrence and then should go to Gov. Jay Inslee to be signed into law in the next few weeks. The bill would require the state’s worker compensation program to presume that a wide range of diseases were caused by occupational exposure at the Hanford nuclear reservation, rather than requiring employees to prove that it was Hanford exposure that made them sick. Published: Jan. 29, 2018, 8:48 a.m.